Museum Row is located on the Miracle Mile which stretches on Wilshire Blvd. between Fairfax Ave. and La Brea Avenue. It houses the 3 major museums; Petersen’s Automotive Museum, Los Angeles Museum of Art (LACMA), and La Brea Tar Pits and Museum. 1. 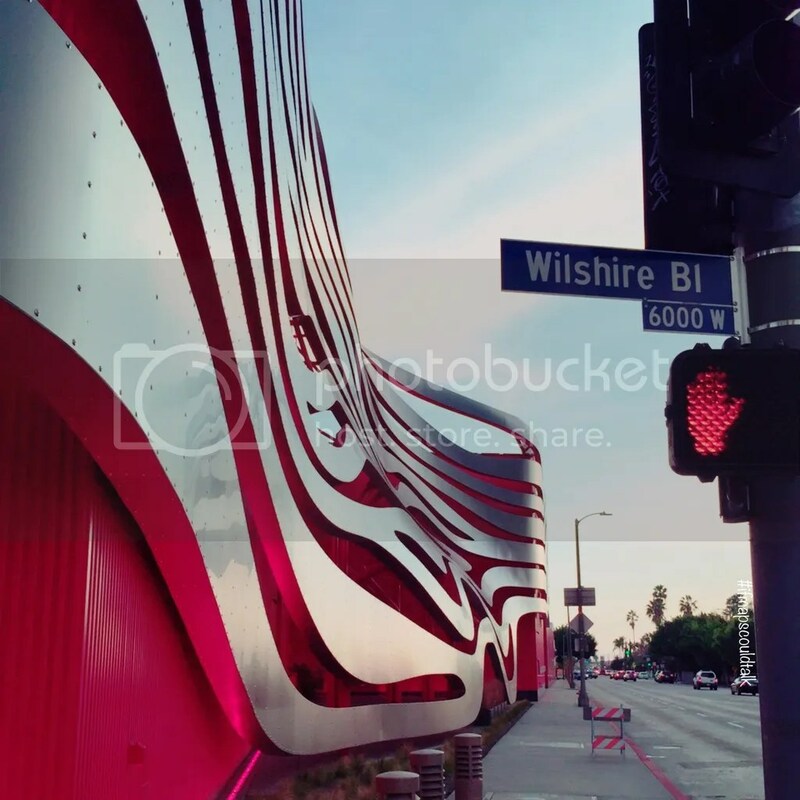 Petersen Automotive Museum is located on the corner of Fairfax and Wilshire Blvd. at 6060 Wilshire Blvd. Los Angeles, CA 90036. Its mission statement is “to explore and present the history of automobile and its impact on American life and culture using Los Angeles as a prime example.” It features automotive themes and exhibits which includes hot rods, celebrity automobiles, land-speed record cars, motorcycles, etc. This is one of the museums I haven’t been in; but the inside and outside has been recently renovated. The outside looks like a Hot Wheels Track (I think). Parking is available for $12. Tickets are $15 for adults, $12 for Seniors and Students, and $7 for Children (Under 3 Free). Hours are 10 am to 6 pm daily. 2. LACMA is Museum Row and Museum Row is LACMA. 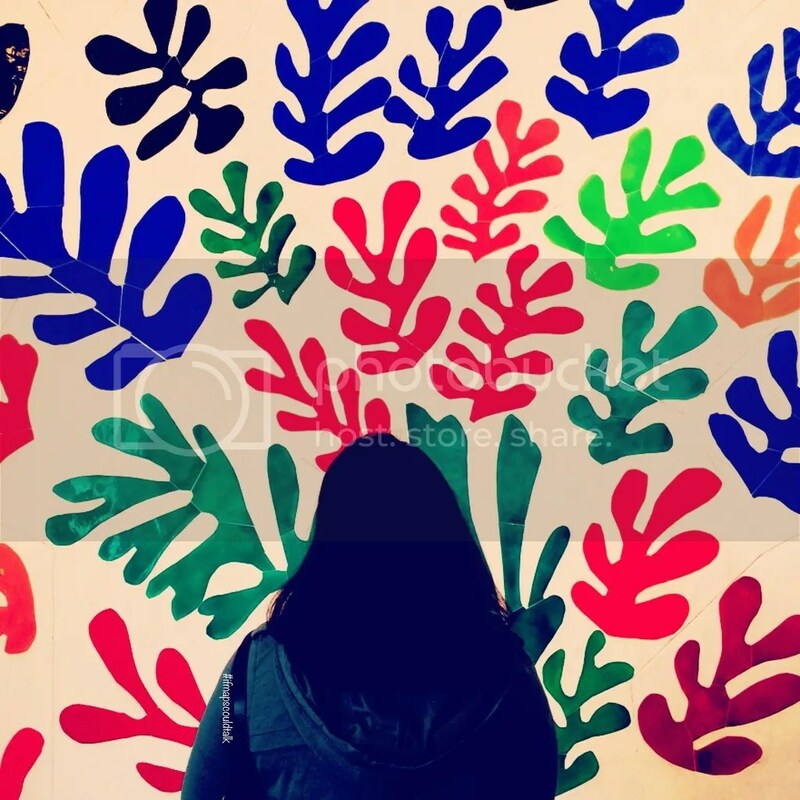 LACMA basically takes up 80% of the Museum Row which houses the Ahmanson Building, Broad Contemporary Art Museum, Art of the Americas Building, the Hammer Building, the Pavilion for Japanese Art, and the Lynda and Stewart Resnick Exhibition Plaza. It is located at 5905 Wilshire Blvd., Los Angeles, CA 90036. I personally like the paid exhibits at LACMA; e.g. the Rain Room. 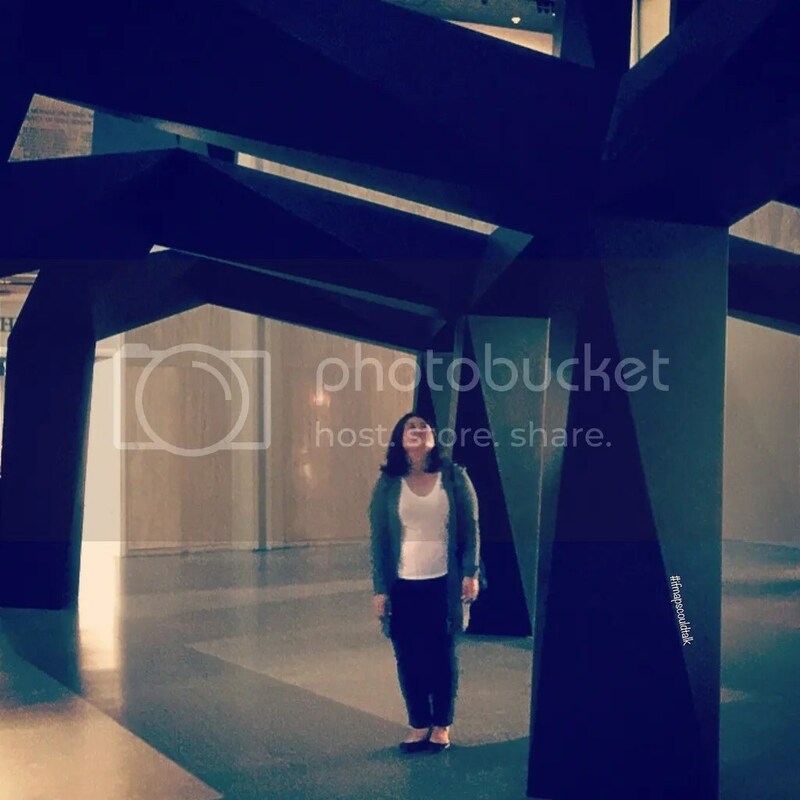 Please check out my experience for the Rain Room here. However, all other exhibits in their permanent collection, I don’t really care for; I mean it’s pretty much classic art, but I have to admit that some are really interesting. General Admission is $15 for adults and $10 for Seniors (65+) and Students. Children 17 and under are free. LA County Residents receive a free general admission after 3 pm every weekday LACMA is open. Parking is $12. Free after 7 pm. 3. The La Brea Tar Pits Museum are a group of tar pits around Hancock Park was formed in LA. 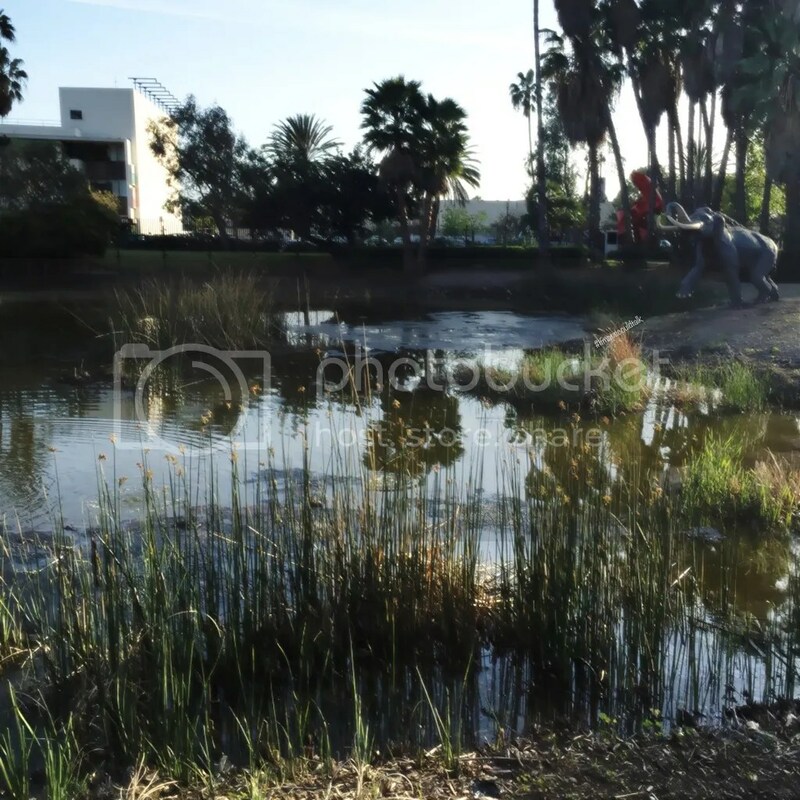 The Museum is dedicated to researching the tar pits and displaying specimens from the animals that died there. I believe the grounds of the Tar Pits are free. You can check it if you’re close to LACMA. I do kind of like seeing the lake bubble; at least you know it’s an actual Tar Pit lol. Adult Admission is $12 Senior (62+) and Students are $9. Child (3-12) are $5. The Encounters and the 3D movie is extra. 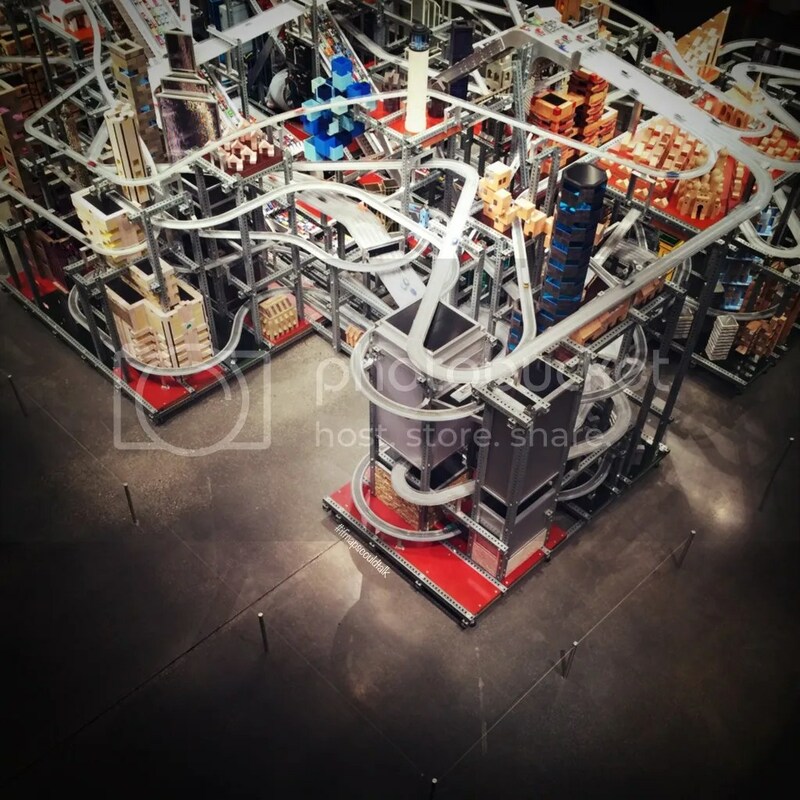 This entry was posted in Art, West LA and tagged La Brea Tar Pit Museum, Los Angeles, Los Angeles Museum of Art, Miracle Mile, Peterson Automotive Museum. Bookmark the permalink. I want to go inside the rain room, the reservation list is so long. 🙂 And I love the lacma collections too. 😀 One of these days, I might visit the automotive museum and the la brea tar pits. If you have a chance, you should go to it! I heard a story about this guy just randomly walking around LACMA and got free tickets. Not sure if it’s true or not. But anything is possible. I hope they extend the date!